For the past few weeks when I drove past Forest Road, Bexley, I've notice this massive queue for a shop with a pink sign. There's a line literally every single time when I drive past, whether it's 3pm or 7pm or even 10pm. 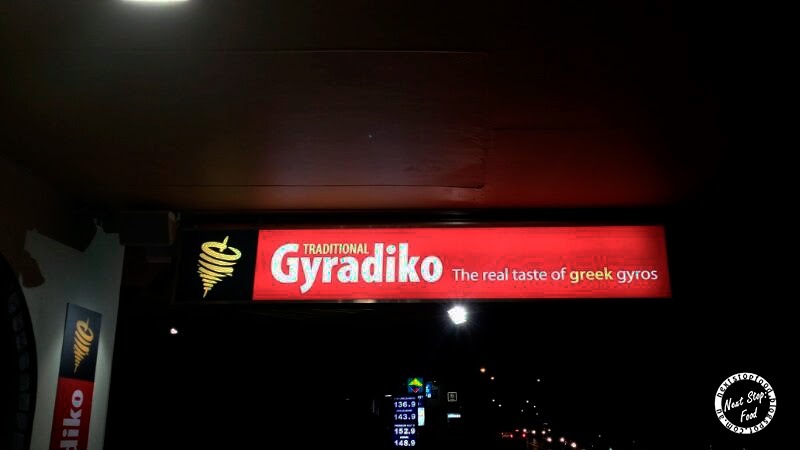 Once I was lucky to have to stop near that store to find out that it's sells Greek gyros and which leads me to wonder: was this always here? Or is it new? Reading smh's GoodFood article the following week confirmed that I haven't been blind and this place is only weeks old. I was prepared to queue for at least 20 min but maybe people heard my growling tummy and ran away because woohoo there was no queue. I was confused/surprised by the lack of people at 7pm, M's answer to my question: maybe because it's a Wednesday? Who knows..
Anyways! 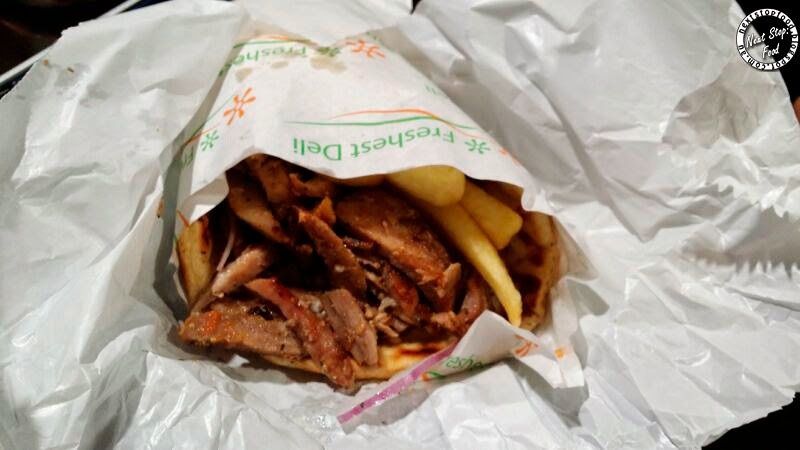 Gyros in Greek means spinning round and round, just like the meat here! This allows the meat to be slowly cooked evenly. The chips also soak up all the sauces from everything YUM! We were actually expecting something a tad bigger but for $7.90, it was definitely worth it! There are a few tables inside and outside but I would suggest to sit outside (if it's not too cold of course) because it's quite hot inside. Freshly made pita bread, SOLD! 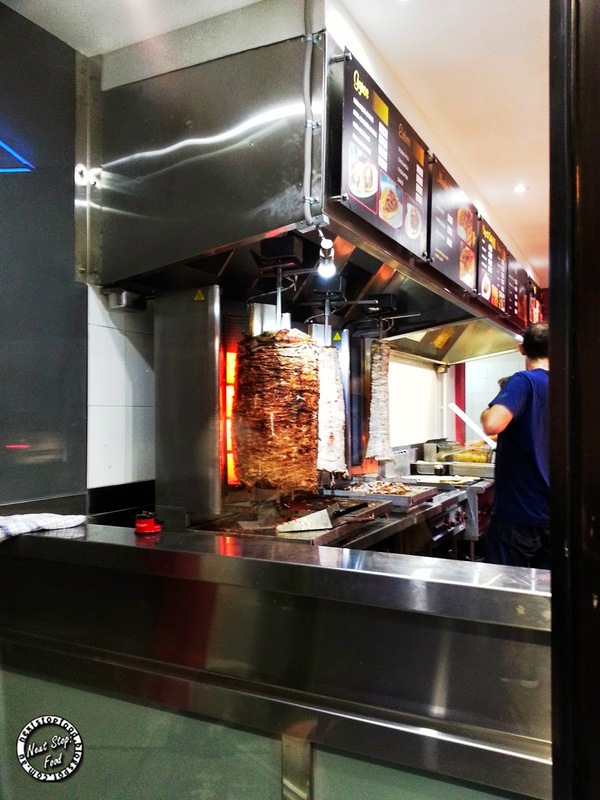 The gyros is amazing here isn't it? 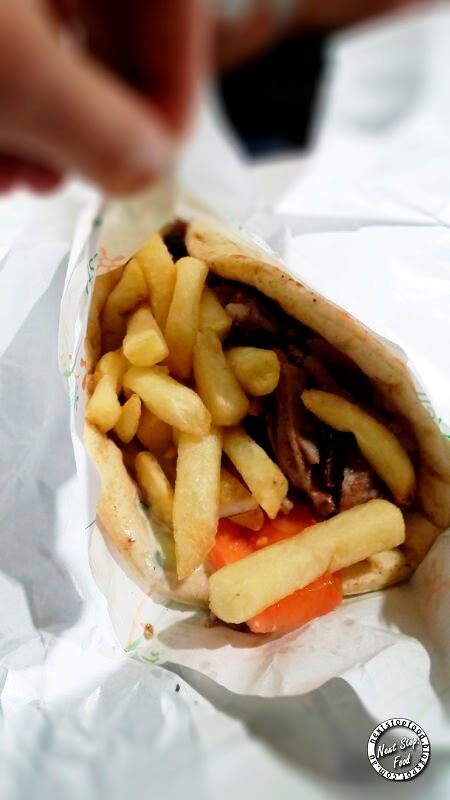 Love their fluffy pita! Indeed it is! Can't wait to have another one!